Professor Rob Krueger’s work has taken him all over the globe, but a recent stop in the U.K. saw him accept a Green Apple Environmental Award for his work in Worcester, England, during a ceremony held in British Parliament for an Interactive Qualifying Project (IQP) that was done at the University of Worcester. The IQP and subsequent recognition for WPI’s contribution came after years of interaction between the two universities and, prior to that, a “sister city” relationship between the Central Mass. community and its English counterpart. Krueger, a social science professor and human geographer, has worked in North America, Europe, Asia, and Africa on issues of economic development and institutional change. He was in Worcester, England, for two months last year overseeing the partnership between WPI and the University of Worcester as program director for WPI’s Worcester, England Project Center. He also has developed projects there over the last four years. Worcester; and Michelle Newell, Community Engagement Supervisor, Worcester City Council. WPI’s connection with the University of Worcester began in 2013, but Krueger points out that Worcester, Mass., started developing a relationship with Worcester, England decades ago. Former City Councilor Dennis Irish was the force behind connecting the two cities in the late 1990s through a range of cultural exchange activities and projects, according to Krueger. “City officials were the motivators behind early engagements,” he says. 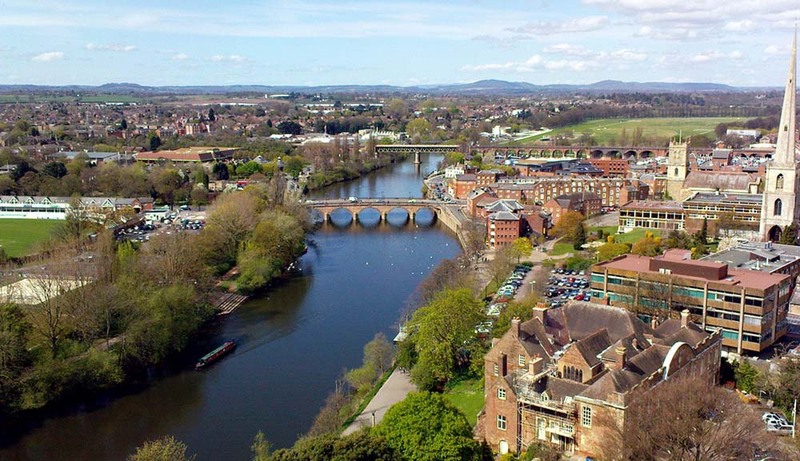 Golding says the idea for a Worcester, UK, project center hatched when he was approached in 2013 by Lord Richard Faulkner, Baron of Worcester. Faulkner was serving on the board of the Science Museum, London, and had heard about WPI’s London projects. Faulkner asked Golding if WPI would consider doing similar projects in Worcester. Shortly thereafter, Krueger traveled from London to the University of Worcester to meet with a team that included Katy Boom, director of sustainability. The first IQPs in Worcester were conducted in the summer of 2014, Golding said, and the center has grown every year. For last month’s Parliament ceremony, Krueger arrived an hour early for a guided tour arranged by Katy Boom. In the fall of 2017, four WPI students measured heat usage in five apartments covering several months, and conducted interviews and focus groups. After tweaking the technology, Krueger says he is hopeful the University of Worcester will talk with students about how to utilize their apartment heat. Steven McAteer '19, WPI computer science major, was one of four students working on the project. The award is an honor, he says. “The IQP is an overall great experience. It is a once-in-a-lifetime thing and an awesome experience. It solidified that we did something that pushed the boundaries. It's really cool."